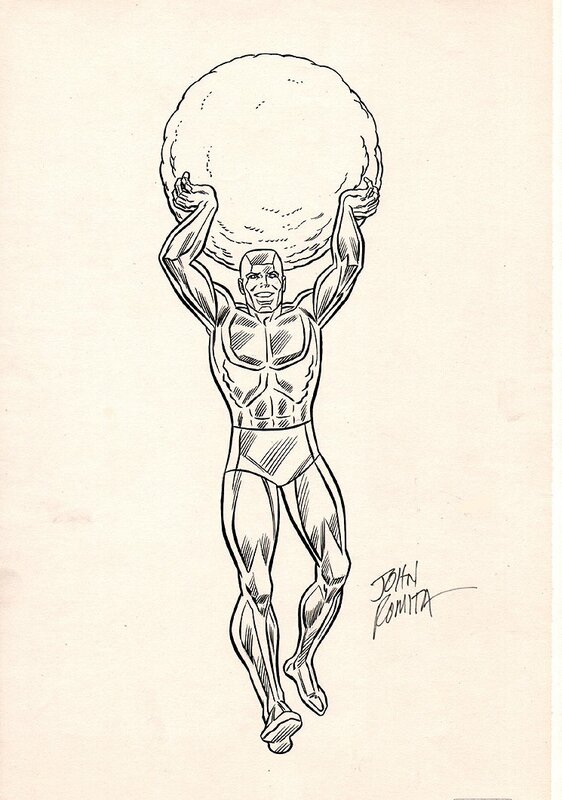 Check out this nice drawn pinup of Iceman holding a giant snowball above his head, which was drawn entirely by the great John Rokita Sr and used for Merchandising right around the time of the Spider-Man And His Amazing Friends TV show in 1979-1980! Art is drawn on 10.75 by 16.75 inch vellum, which is put on Marvel Cover stock art board! Signed by the great John Romita also!